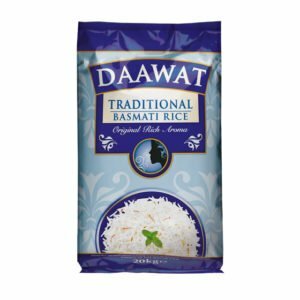 Daawat Traditional Basmati rice is aged for a minimum of 12 months providing a rich aroma, pristine white gloss and a sweet delicate flavour. 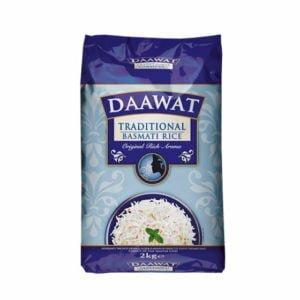 Available in pack sizes from 500g to 20kg. 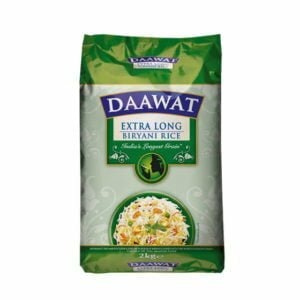 Also, discover India’s longest grain with Daawat Extra Long Biryani rice; known to elongate up to 24mm in length! 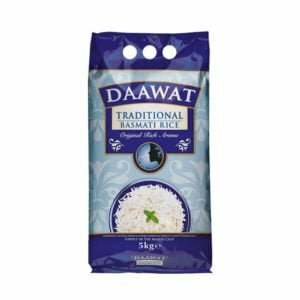 A biryani has to look and taste spectacular with long rice grains featuring as the main attraction. 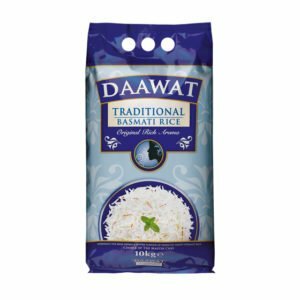 With Daawat Extra Long Biryani rice, your biryani will be transformed into a feast for the senses. Heat ghee in an open pan, add cumin seeds and sauté for one minute. 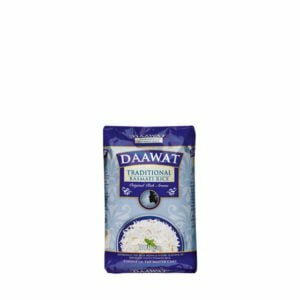 Add cooked rice and salt and toss to mix. Cook for a minute. 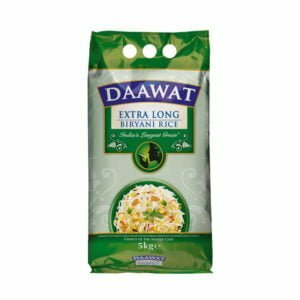 Transfer onto a serving plate and serve hot garnished with spring onion green curls.